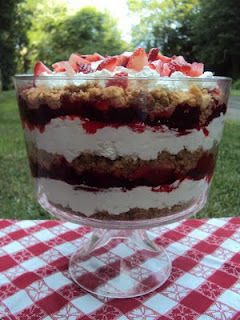 Thank you so much for featuring my Strawberry Shortbread Trifle, it is greatly appreciated! 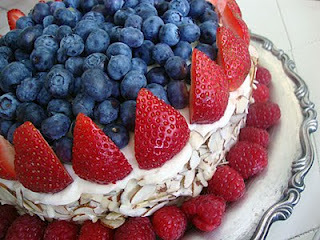 Thanks for featuring my patriotic berry cake!!! The other party treats look great too.... I'll definitely be saving these recipes :) Happy 4th!!! One of the many great freedoms of this country...free to eat awesome desserts! =) Happy 4th of July. 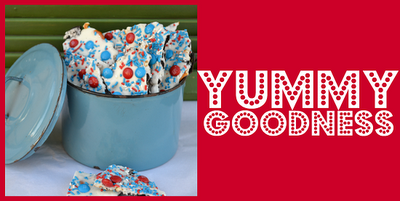 thanks for stopping by, love the patriotic desserts featured here. following you via fb, twitter and gfc now. Look forward to reading more. The strawberry dessert looks mighty tasty. Thanks for the follow! I love your blog. You said you are a chef in training, I think you are doing a very good job, continue to work your recipes beacuse the food looks tasty.